I had this dream in which a grumpy prophet crashed our Christmas pageant rehearsal, raving like a lunatic. “I’m the ghost of Advent past!” he screamed. 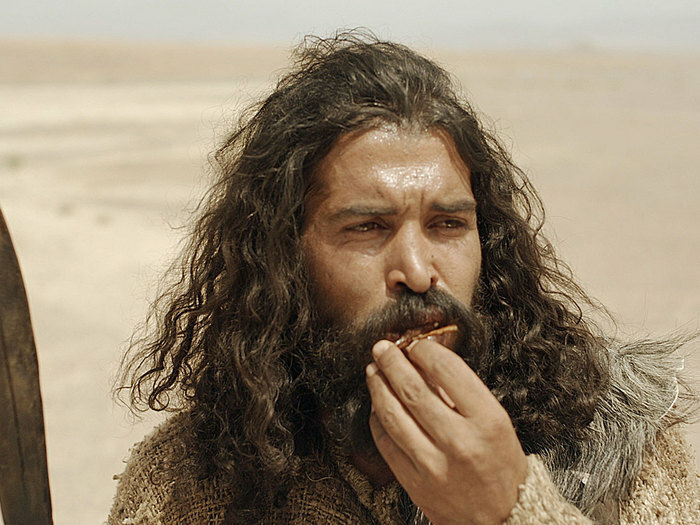 Dressed in camel’s hair, leather belt, and munching on locusts dipped in honey, he gave off the smell of John the Baptist, but his beard had more of a Carl Jung metrosexual trim to it. Our Director of Christian Education, with director’s clipboard in hand, wouldn’t take any guff from anyone, not even a Supreme Court justice. “A strict constructionist, are you?” she spat out the words as an epithet, eyes narrowed. He looked around at the quizzical expressions on each face and looked up to the rafters and whined, “God! Doesn’t anybody know Greek anymore? What happened to teaching classics in school?” The prophet shape-shifted again; no longer Woody Allen, but my grandmother, who just happened to have been a high school classics teacher, back when there were lots of them in Texas. “Kataloumai,” she explained, now with the patience of my classics-teaching librarian grandmother, “means literally ‘upper room.’ In chapter 22 of Luke, your English translation renders the same word ‘guest room,’ to describe the large room upstairs where Jesus and his disciples ate the last supper. With a sweep of his arm, he burned down the set. Everything vanished except the people. “This is all you need,” she said, again taking the form of my grandmother.